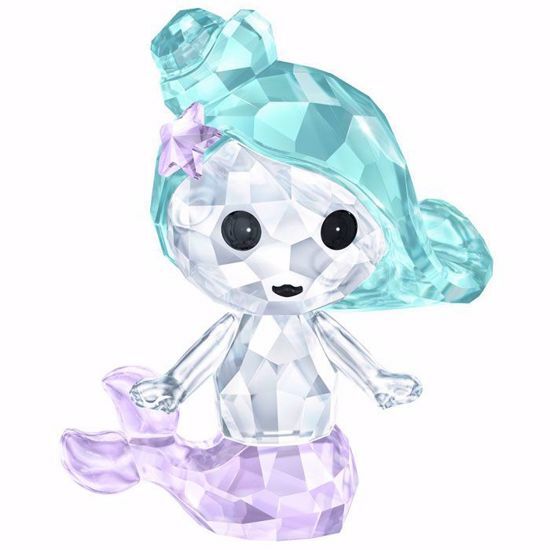 Sprinkle some fairytale magic into your collection with this cute Mermaid. The much-loved creature is brought to life in clear, blue, and purple crystal. A symbol of adventure and exploration, this charming depiction would make a lovely gift. Display with the new Elf and Centaur for the perfect mystical trio. Decoration object. Not a toy. Not suitable for children under 15.